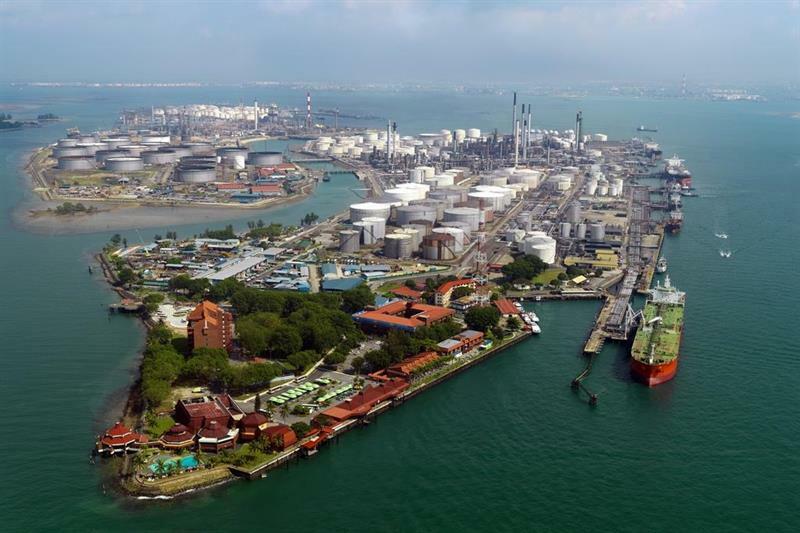 Sepura has migrated Shell’s Pulau Bukom Manufacturing Site (based on an island 5.5 km southwest of Singapore) from an analogue network to a new TETRA system to improve the installation’s security, coverage, and connectivity and has an employee based permanently on-site for maintenance and repairs. The site is an integrated oil and petrochemicals facility, which manufactures fuels, lubricant based oils and speciality chemicals. It is Shell’s largest wholly-owned refinery globally with a crude distillation capacity of around 500,000 barrels per day and the company’s largest petrochemical production and export centre in the Asia Pacific region. Being located to the south of Sentosa, the site required careful planning and regular visits to ensure any challenges were quickly solved. The island, which covers 243 hectares, is home to a large number of metal structures and these were one of the key challenges to the installation of a new network, as metal frequently blocks or interferes with radio signals. Another challenge was the hazardous materials that were present – crude oil and fuel – and these posed health and safety challenges for Sepura’s team. Access to the site is heavily restricted so site visits, planning and construction of the new network also required careful consideration. The TETRA network that Sepura deployed covers the entire island, as well as the ferry terminal and remote docking buoy, while the intrinsically safe STP8X100 (shown right – it has a reduced keypad and dedicated emergency button) was selected as the most appropriate handset for this environment. Vehicles and on-site offices were equipped with SRG3900 mobile and desktop radios. To better support the Movement Control Room (MCR) which manages the loading/ unloading of products from ships, Sepura integrated its radios with the instrumentation system to provide a quick pump trip function – allowing that those in control of loading the large ships to trigger a pump trip using their radio in case of an emergency. 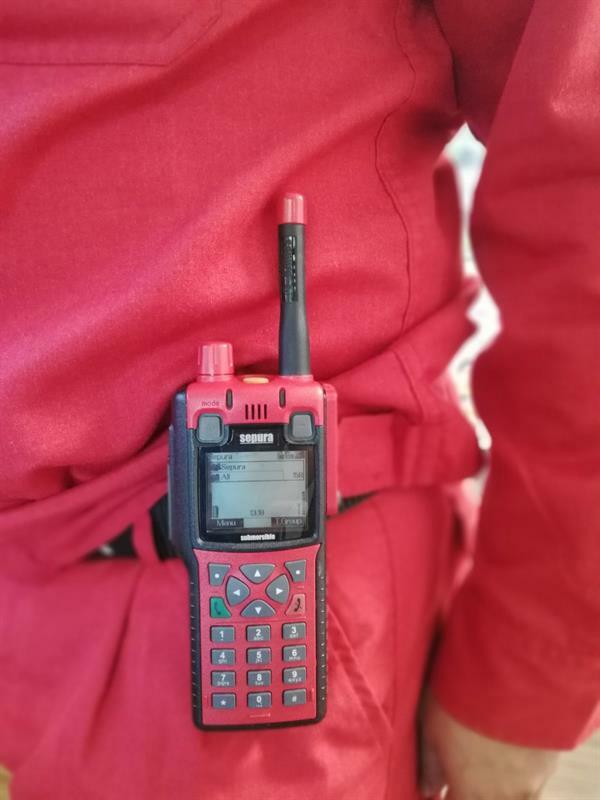 Due to the critical nature of communications at the Pulau Bukom Manufacturing Site, Sepura has a dedicated team of local engineers that provides 24/7 all year round to support the TETRA radio system. In addition, preventive maintenance is carried out quarterly and Shell has contracted Sepura to deliver a multi-year managed service to ensure the safety and efficiency of the site and associated operations. “Working closely with the Shell stakeholders and building rapport with user’s focal points was the key success factor to ensure that the delivery could proceed. In the maintenance phase, these relationships help provide a smooth transition process from the old to the new system, helping to ensure that issues and concerns are raised to the maintenance team for remediation as soon as possible,” said Peter Tan, project manager at Sepura.